First of all, please ignore the chipped nails. I will explain the photo later on. Seche Vite here, Seche Vita there. This top coat is known to be one of the finest top coats out there. This does help my nails dry quicker than usual. It dries within a minute and at around the 3 minute mark, my nails are ready to go for everyday life. With a high shine glossy finish, it definitely was the cherry on the cake to any nail polish. Streak free, no smudges or finger prints. However, I honestly am not keen on this. Sadly, it started to chip after a day. The above photo is after a week and a half. I had taken this photo for a specific reason. My nail colour wasn’t white after a day or two. Due to being a dyed red head, it started to stain the top coat giving it a dull, dusty pink mask over the white which you can see above. I have used this topcoat on other nail colours and it’s the same result. It wasn’t glossy after this. The stained top coat can be seen on lighter colours but not dark colours. I do have the habit of picking the chipped polish off. My bad. When I do, I was able to peel the top coat off as well. It’s oddly fascinating in my own little world. The top coat gets thicker over time and will need to use a different product to thin it out. This does have the conventional nail polish chemical smell. Pungent and need to be used in a well ventilated area. There are better top coat polishes out there especially ones that doesn’t get stained easily. This is not what I thought it would be. I wish I could like it but I can’t. You can get this in Boots, ASOS, M&S, Feel Unique and many more places in stores and online. Have you tried this and what were your thoughts? This product is new to me, I haven't heard of the brand before. I have always used Essie and OPI top coats, I think they are the best! It's great that it is quick drying. Shame it has that chemical smell. I love that it's quick drying. I am on the move so much, I need something that dries in no time. This sounds like a great product. There is nothing worse than spending ages doing your nails then you get the dreaded chip!! Such a shame that it had chipped that much in that little time 🙁 Especially for the price too. I've not seen this before but it looks like the stuff I use which never lasts. What a shame. I've never heard about this brand before. I usually use L'Oreal top coat. I've never heard of the brand before but it sounds fantastic! Will definitely be reading up more about it. This sounds great and the timing is good as I NEED a new top coat!!!! 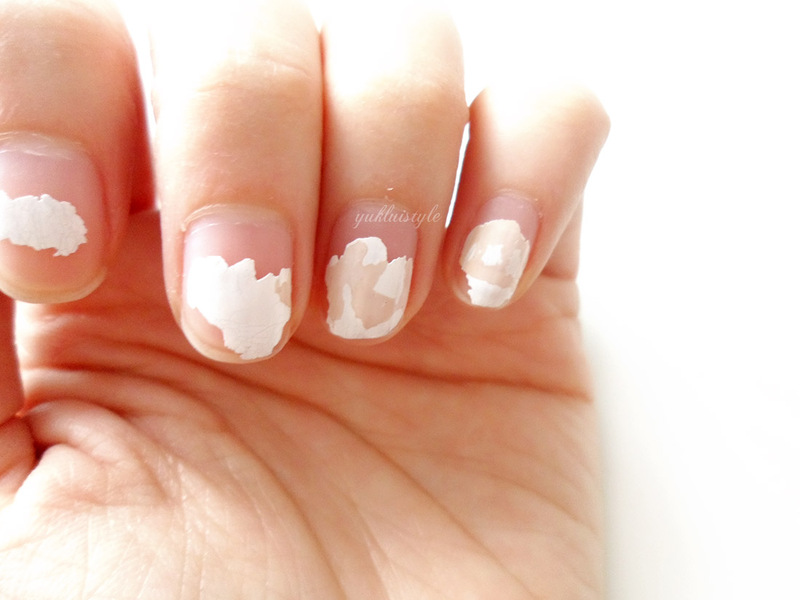 I honestly thought that the chipped nail polish was a new painting style, lol! The top coat sounds very good though, my daughter would like something like that for her nails. 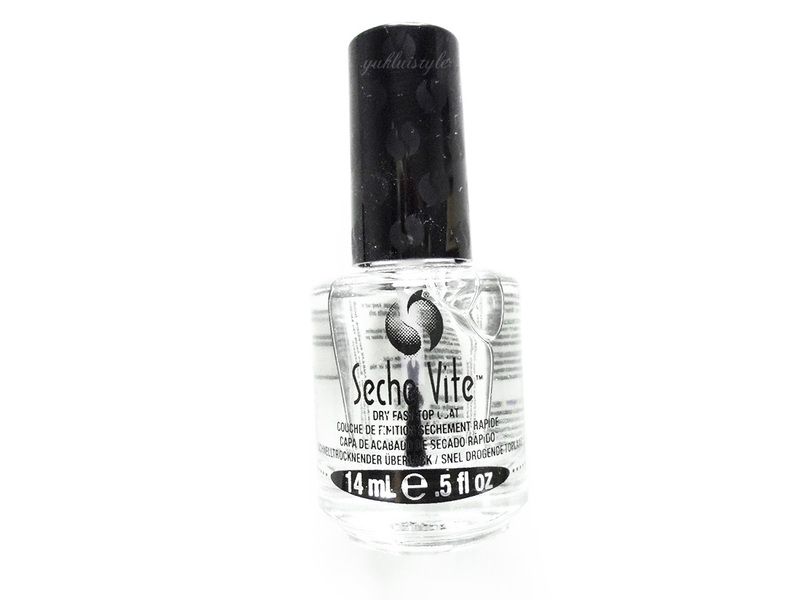 I bloody love seche vite! I haven't used it for a while though as my nails aren't in the best state atm. The one problem I have with it is that it goes quite gloomy after a while despite there being lots of product left! Oh wow it chipped really quickly. What a shame. I'm not a fan of this top coat or any other top coat really! I thought it's all good due to its quick dry feature but great that you shared how you monitor this coat. I don't use top coats because I have had similar experiences in the past and I too pick on my nail polish when it starts to chip. Im really bad with top coats. Not heard of this one before but sounds good. Always helps when it speeds the drying process up. Im always smudging mine thinking it has dried.